Special Olympics Hamilton County – Ohio – Let me win, but if I cannot win, let me be brave in the attempt. Easy ways to give back to Special Olympics Hamilton County! 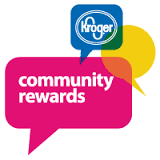 When using your Kroger Plus card be sure to enroll in Community Rewards and select Special Olympics Hamilton County! Every purchase you make will benefit local Cincinnati athletes with intellectual disabilities! *Be sure to re-enroll every year to make sure your points are benefiting the SOHC!